In Relational Psychoanalysis and Temporality, Neil J. Skolnick traces his personal evolution from a graduate student through to his career as a relational psychoanalyst. Skolnick uniquely shares his publications and presentations that span his professional career, weaving in issues around temporality. Accessible and deeply thought-provoking, this book explores the many ways our lives are pervaded and shaped by time, and how it infuses the problems that psychoanalysts work with in the consulting room. Skolnick begins each chapter with an introduction, contextualizing the papers in his own evolution as a relational analyst as well as in the broader evolution of the relational conceit in the psychoanalytic field. Following an incisive description of the realities and mysteries of time, he highlights how psychoanalysts have applied temporal phenomena to the psychoanalytic process. The papers and presentations address an assortment of time-worn psychoanalytic issues as they have become redefined, reconfigured and re-contextualized by the application of a relational psychoanalytic perspective. It charts the changes in the field and the author's practice across the trajectory of his career. This book is a fascinating guide to how our lives are contextualized by time, illuminating the ways time influences psychoanalytic thinking and practice. 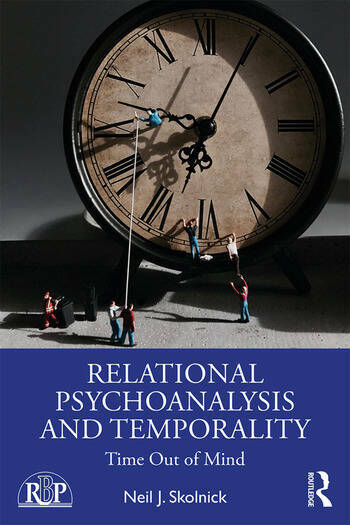 Relational Psychoanalysis and Temporality will be of immense interest to psychoanalysts, psychoanalytic psychotherapists and therapists of all persuasions in their practice and training. It should also be of interest to philosophers, historians and scholars of psychoanalysis who have a general interest in studying the role of psychoanalysis in influencing contemporary trends of Western thought. Neil J. Skolnick, Ph.D. is currently an Associate Clinical Professor at the NYU Postdoctoral Program in Psychoanalysis and Psychoanalytic Psychotherapy. He is a faculty member, supervisor and past member of the Board of Directors at the National Institute for the Psychotherapies (NIP) and its affiliates, the Institute for the Psychoanalytic Study of Subjectivity (IPSS}, and the National Training Program (NTP). He is faculty and supervisor at the Westchester Center for the Study of Psychoanalysis and Psychotherapy (WCSPP). He maintains a private practice in psychoanalysis and supervision in Manhattan.